. 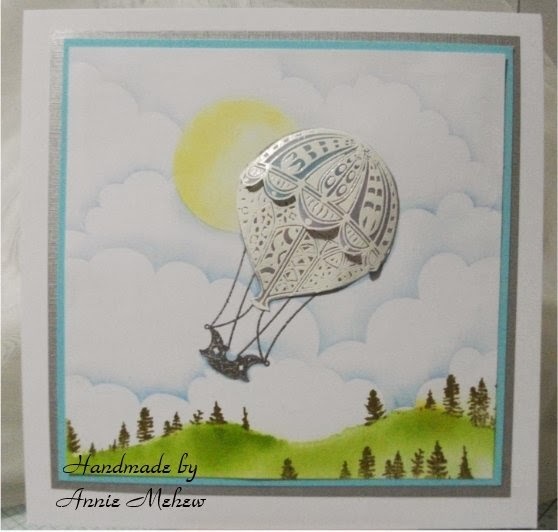 I love hot air balloons and I also love zentangle .. a form of doodle art so this is right up my street!! Before building up the balloon I created my background scene using masks to create the clouds and hills. 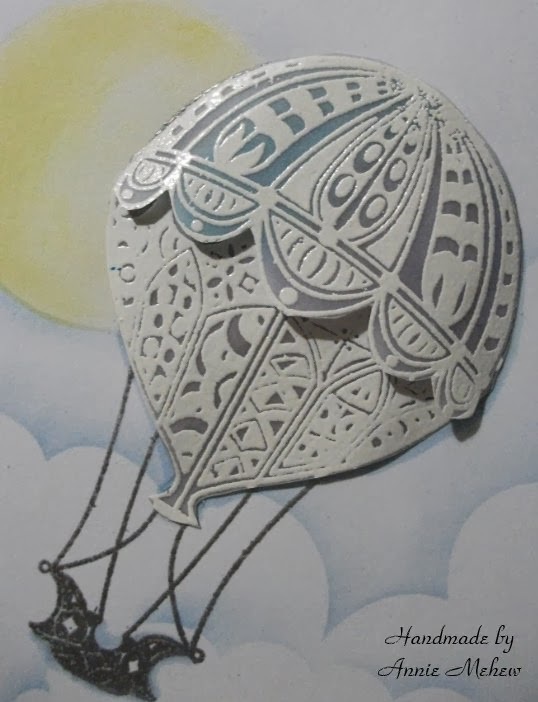 As I was cutting out the balloon sections I could see that there were other possibilities using this lovely stamp, can't wait to give them a go.